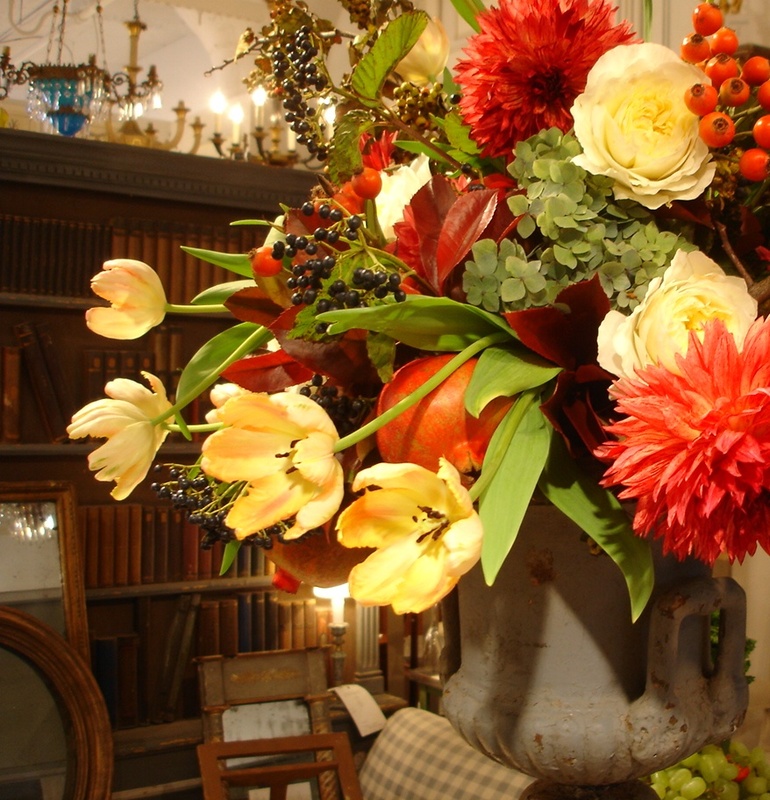 Last week Apryl and I did a lush, and if I may say, gorgeous arrangement for the design studio Antiques on 5 at the Boston Design Center to celebrate the launch of an incredible new fabric line. 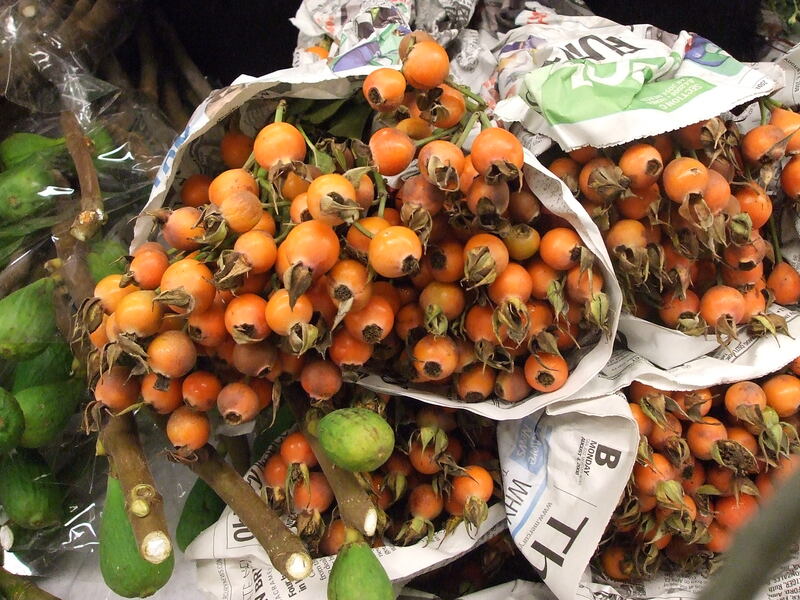 We found gorgeously long and arching tulips, I could stare at them for hours; the last of lush fragrant garden roses for the season; and incredible branches of pomegranates, rose hips, and crab apples! 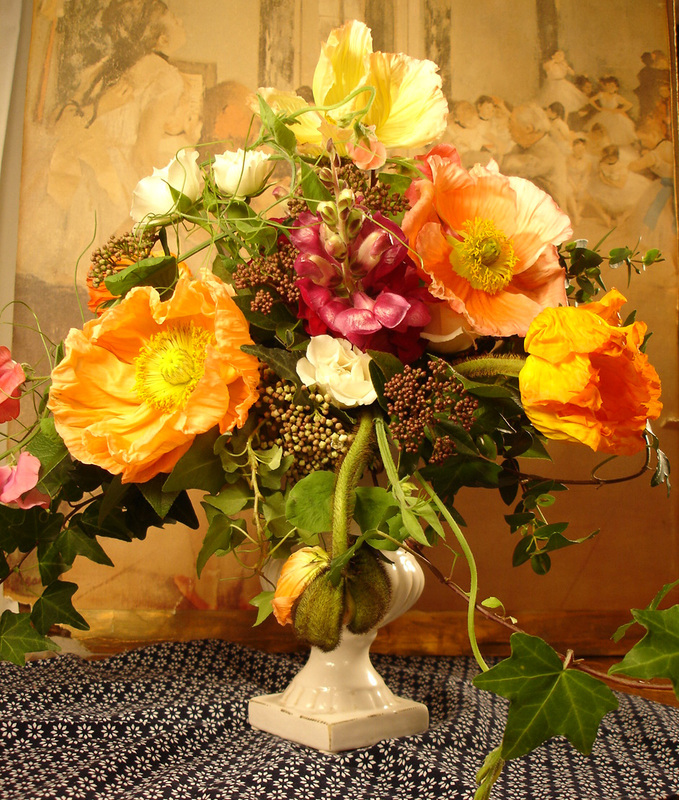 We created this arrangement for an artist’s entry hall during Jamaica Plain Open Studios this weekend. 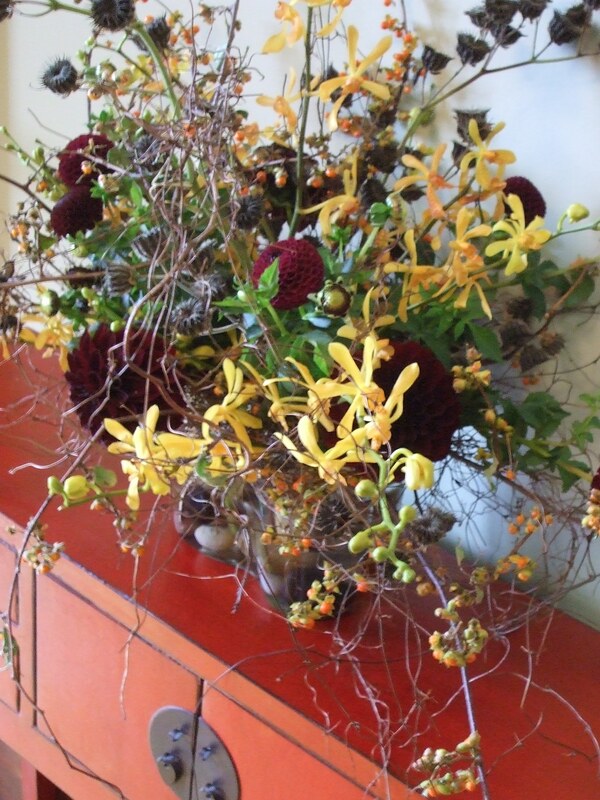 To pair with the architectural and lean style of the red console table, we used bittersweet branches that are just coming into season now, saffron colored ‘James Storrie’ orchids, and deep almost-black dahlias. 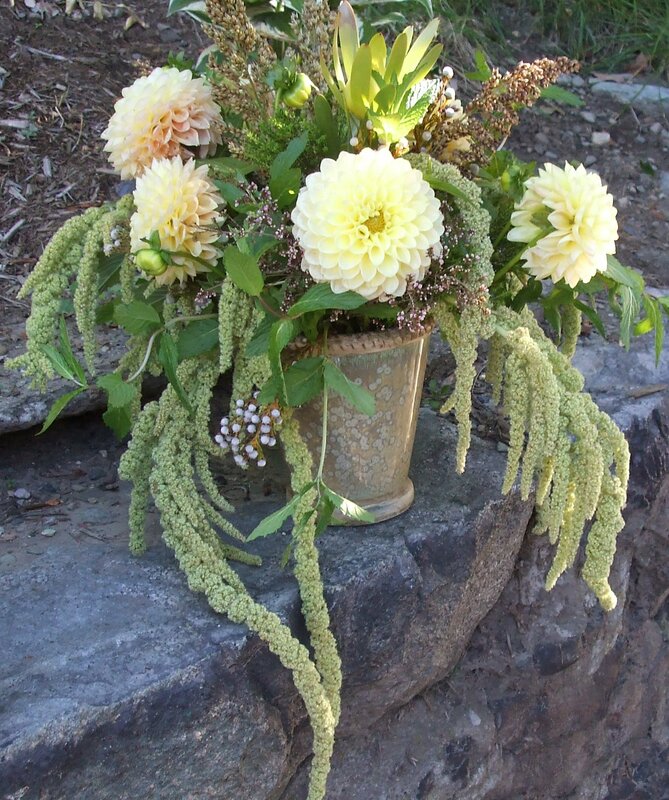 I love the wildness of this arrangement, free-wheeling but slightly skeletal. A cool bridal show, really? I know, I know, so many of these shows are scary affairs with too many vendors, too much ‘over the top,’ and not enough truly unique and beautiful things. Apryl and I have mostly sworn off bridal shows for those reasons but never say never, we are actually participating in one that will really be quite lovely. Cocktail Party meets Wedding Planning – That’s really the feel for An Evening of Elegance at the Taj Boston on Thursday, November 6th from 6-8pm. Hope you can make it! And, for those of you who haven’t visited the new Taj, here’s a perfect excuse! Apryl & I will be there cocktail in hand with a gorgeous and interactive display – “What kind of bride are you?” With lots of wonderful different styles of bouquets to try on and model. 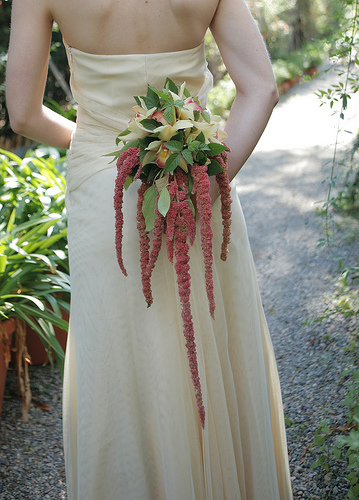 Here are few examples of bouquet styles we may do (photos below are all by Petalena from prior weddings). Other vendors include: Donna Perkins Photography, Jubilee Event Design, Lux, Bond, and Green and many more including Petalena! 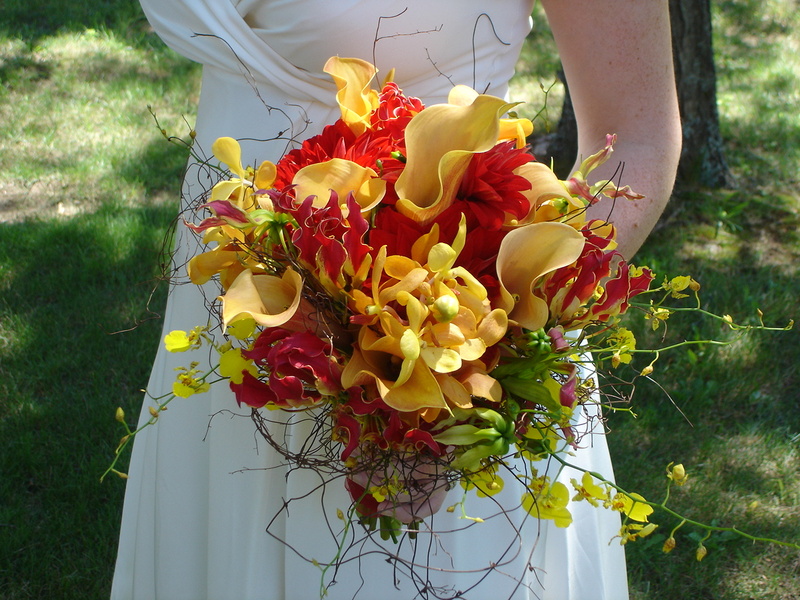 Celebrating Fall – We’re doing a design very similar to the photos below for one of our October brides who loves all things autumn. 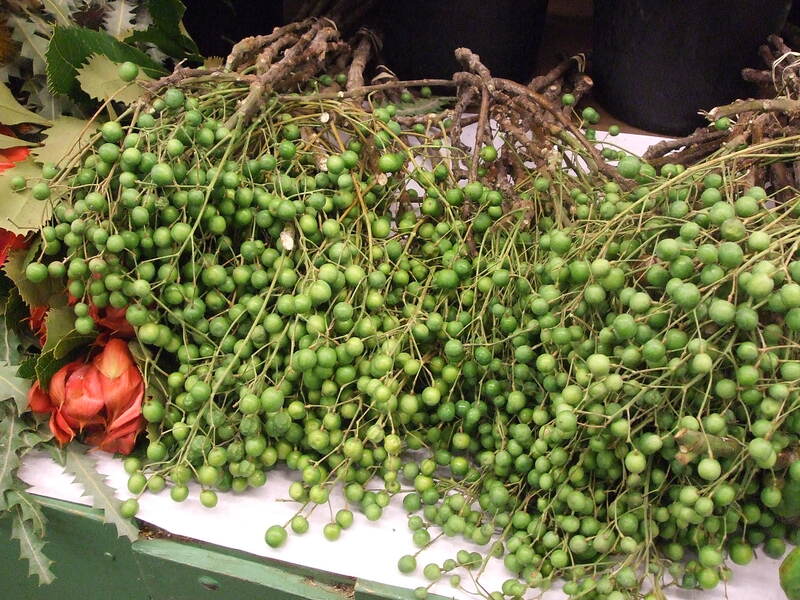 Going to the market these days is such an incredible sensory experience, confirming for me, that really spring and fall – those transitional seasons – are my favorites. 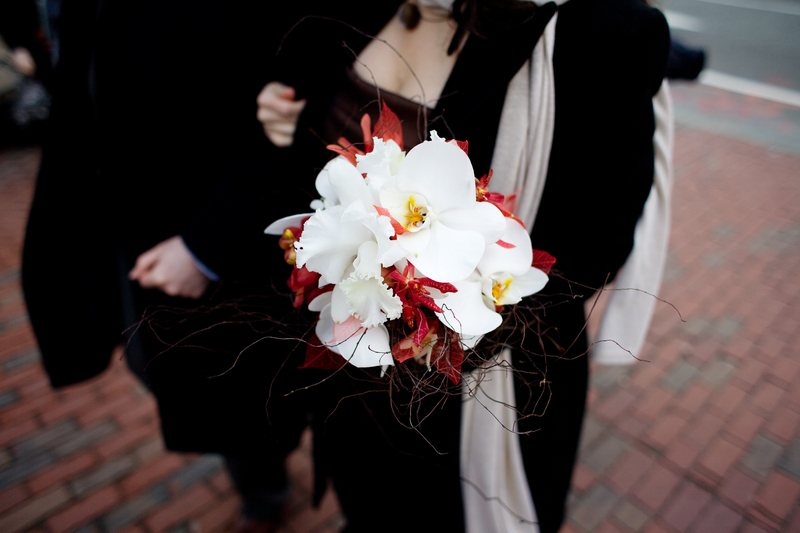 Here you can see we used bright orange dahlias (fingers crossed the first hard frost in Massachusetts and Rhode Island will hold off until after this wedding! 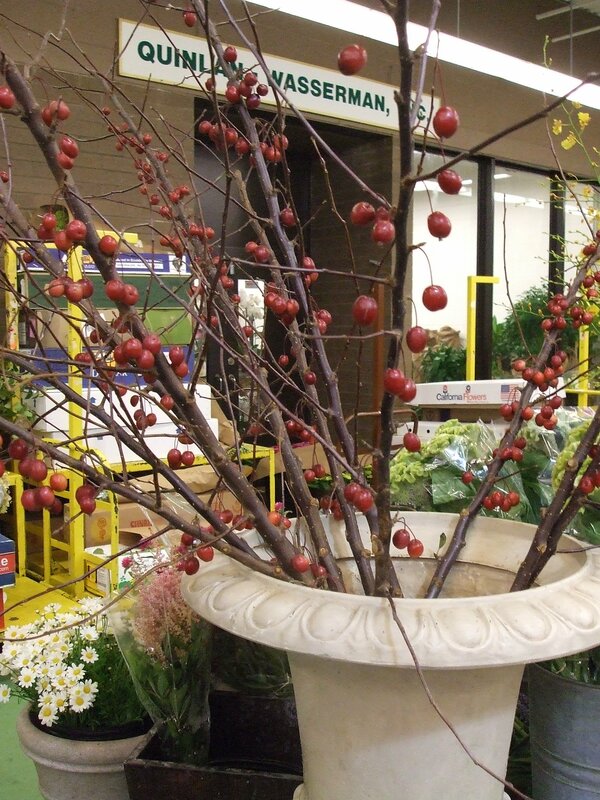 ), maple branches, burgundy astilbe, purple smokebush, and incredible orange parrot tulips. The red berries for those who are curious are viburnum berries. 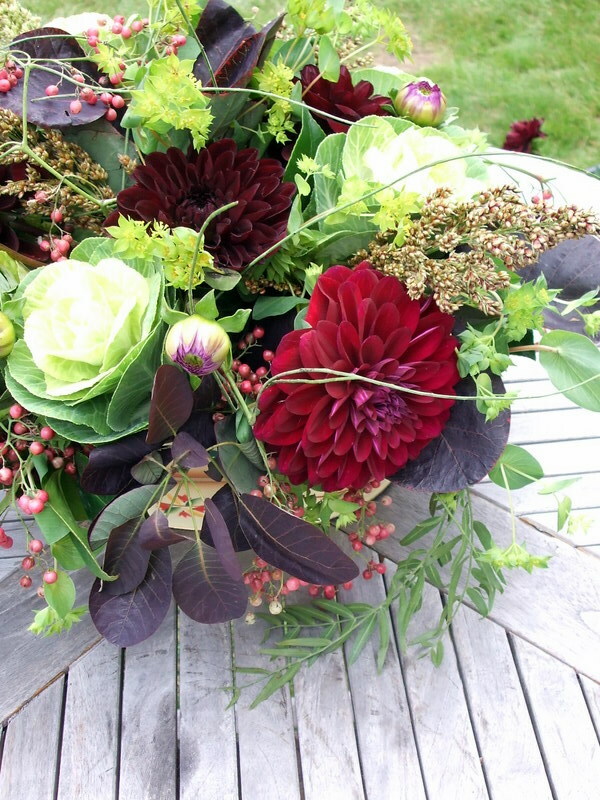 Flowers to Evoke Autumn at the Beach – Over the weekend we did a textural arrangement for a client of ours with the design instructions for something with ‘light colors and beach-y feeling.’ Here is our translation. 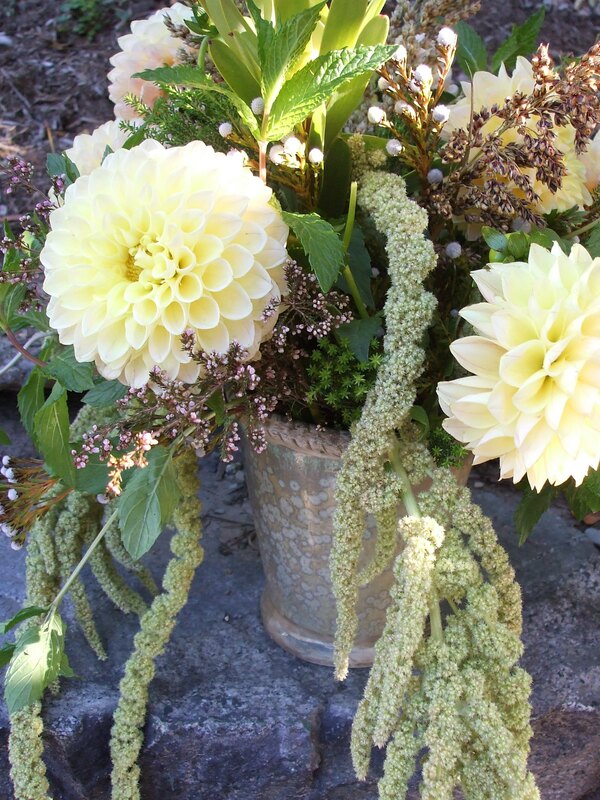 The lighter colored dahlias are just perfect right now along with chartreuse amaranthus tumbling over the vase, coupled with wheat and some light blue berries. 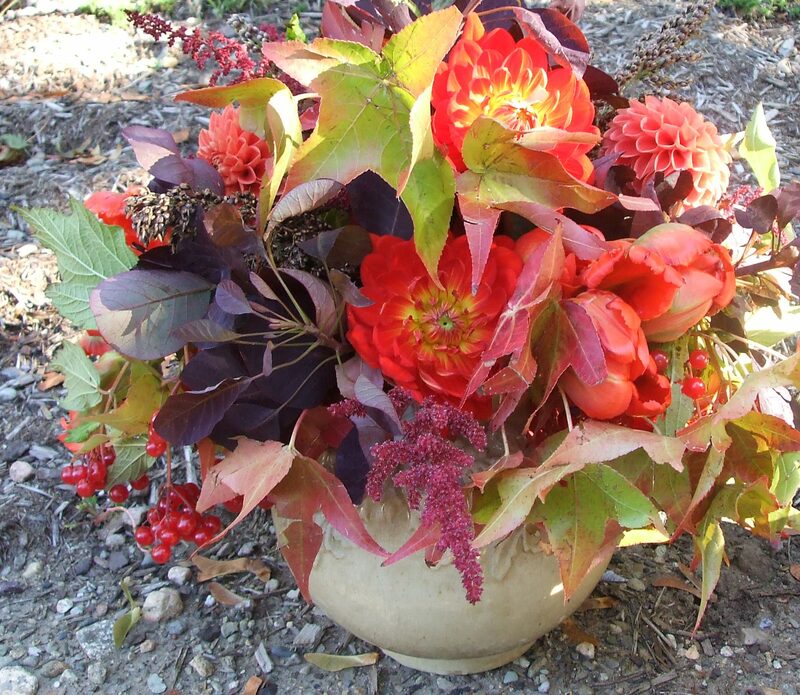 We are loving fall, so many gorgeous things to work with! Pumpkins, a comforting sign of autumn right? Folksey and charming but stylish? Let’s see what Petalena can do! Last weekend Apryl and I worked on a few ideas for one of our fall weddings that takes place in one of Boston’s beautiful private clubs. 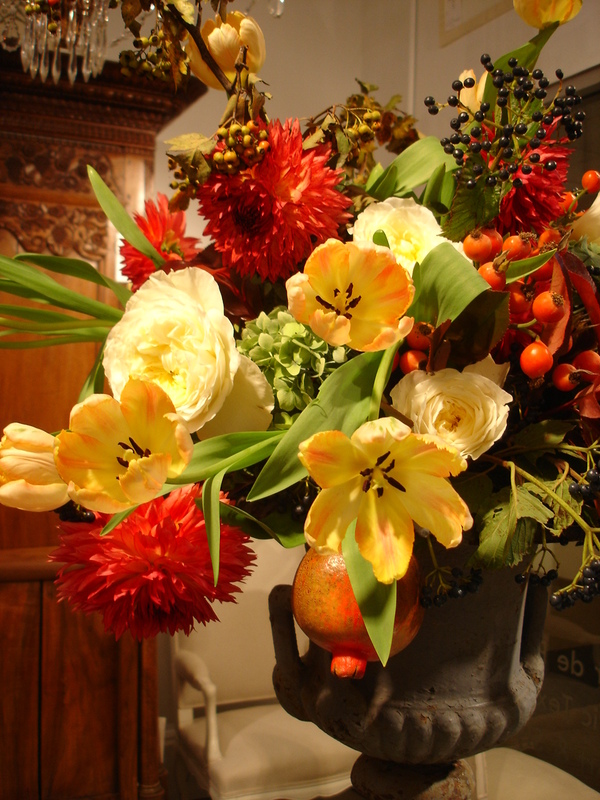 Our bride adores the fall, bright oranges, textures, and foliage so we’re incorporating a feeling of fall throughout the design for the reception. 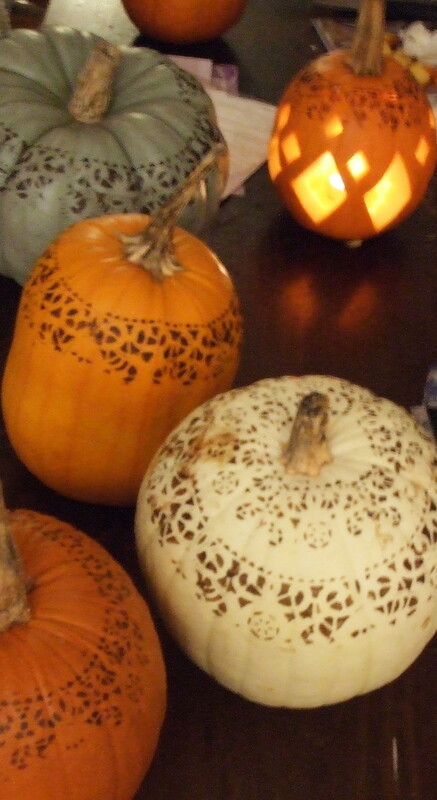 Here are few things we played around with to make pumpkins a little more unique and fitting for an elegant venue. 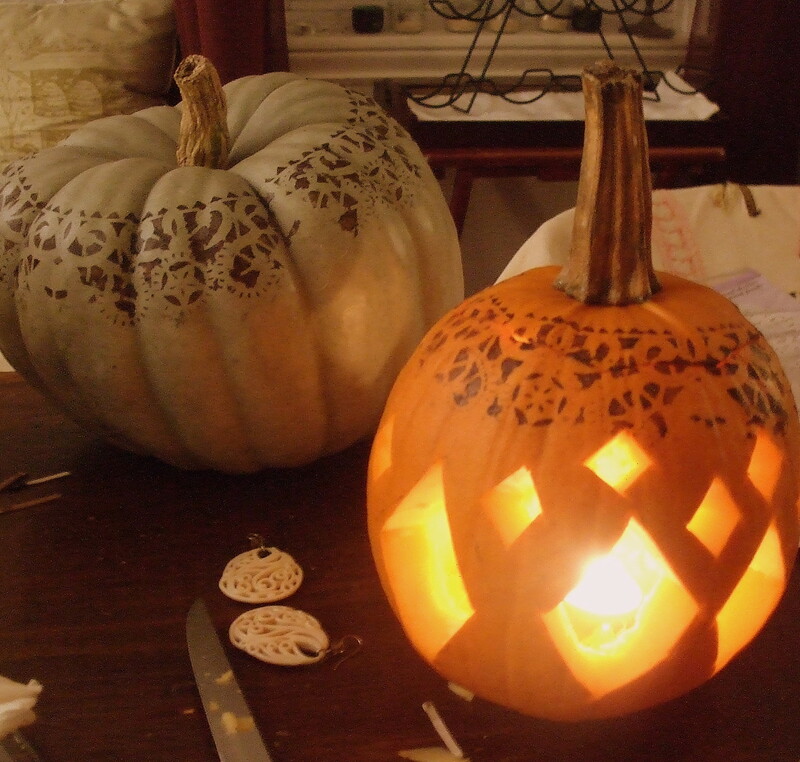 We’re also planning to punch out shapes in pumpkins that will be used as the table arrangements. We’ll post more photos of that soon! 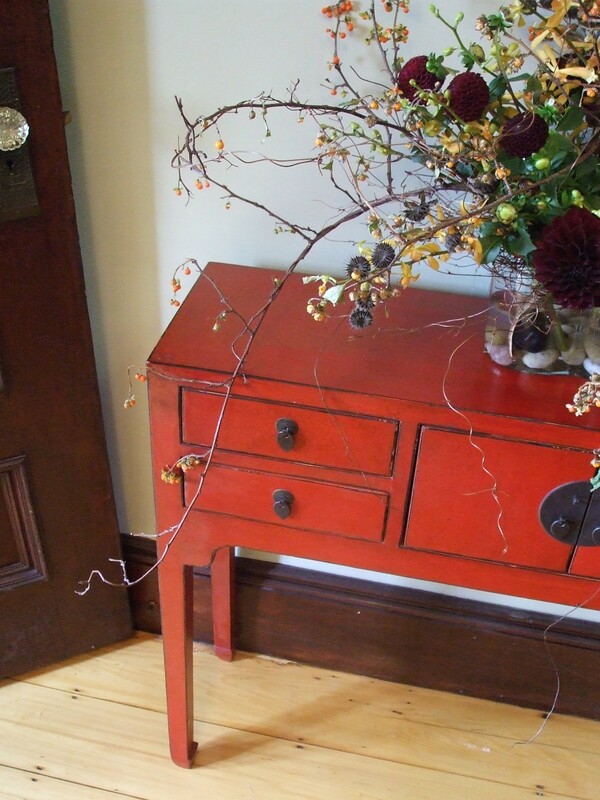 At left and below we used a lace pattern and stenciled in the pattern with an espresso brown paint. We love the effect, elegant and interesting. But it’s a bit too much if you also cut out out the pumpkin. 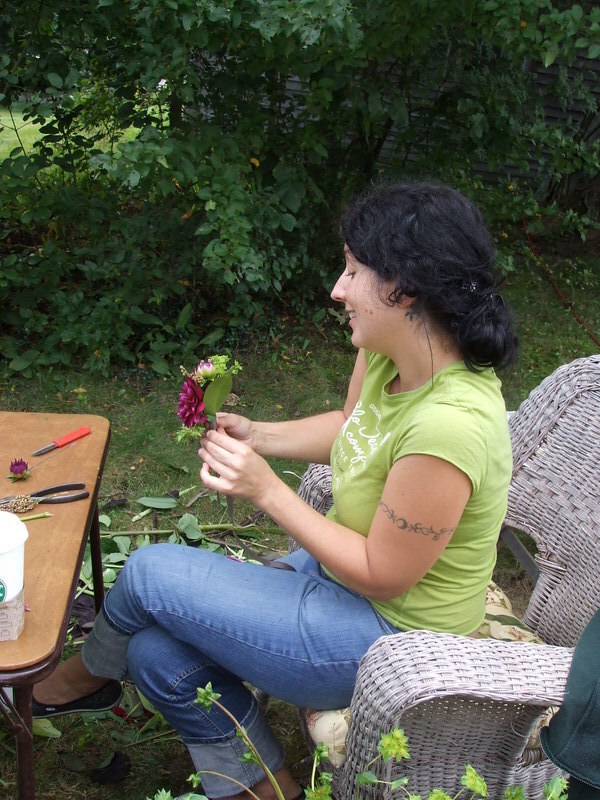 This photo kind of cracks me up, you can barely see it, but while I was working on the pumpkins, I took off my earrings (because they were getting heavy!) and put them on the table. Clearly I’m drawn to this kind of swirling lace-like style since my earring are practically the same pattern as what is on the pumpkin! 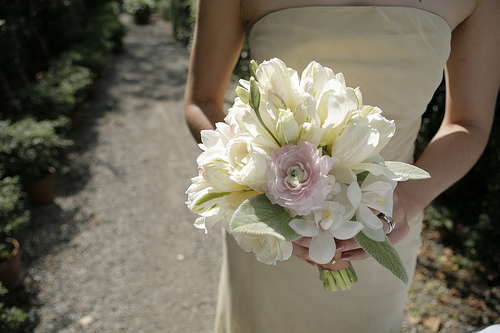 We’ve been a little busy at Petalena since September started, meeting with new brides, working with our current clients, plus doing all our floral designs! Despite the somewhat hectic schedule, I did want to take a moment and share a few photos of some floral designs we did for a friend’s sister’s bridal shower this past weekend. For flowers we wanted to just go to the market and see what was perfect and in season. 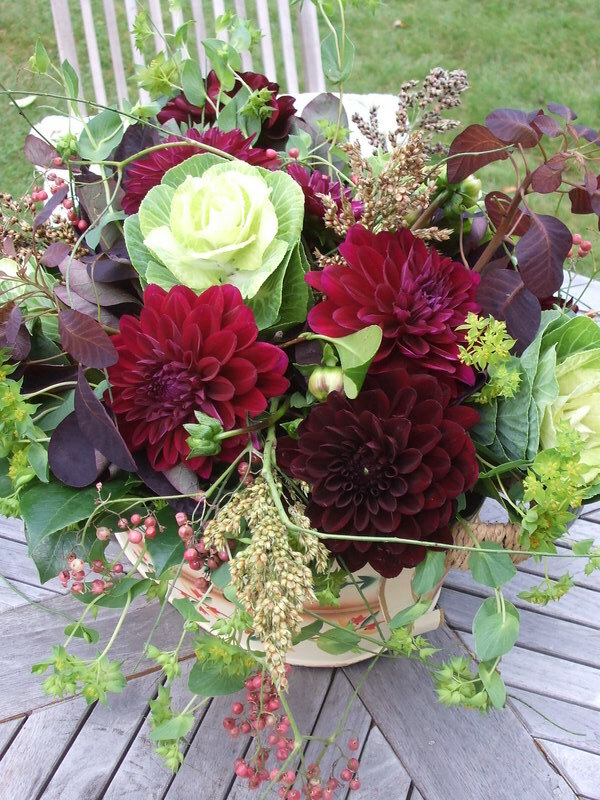 With no set design plan, we found the most perfectly gorgeous black and burgundy dahlias, pepperberries (love them! 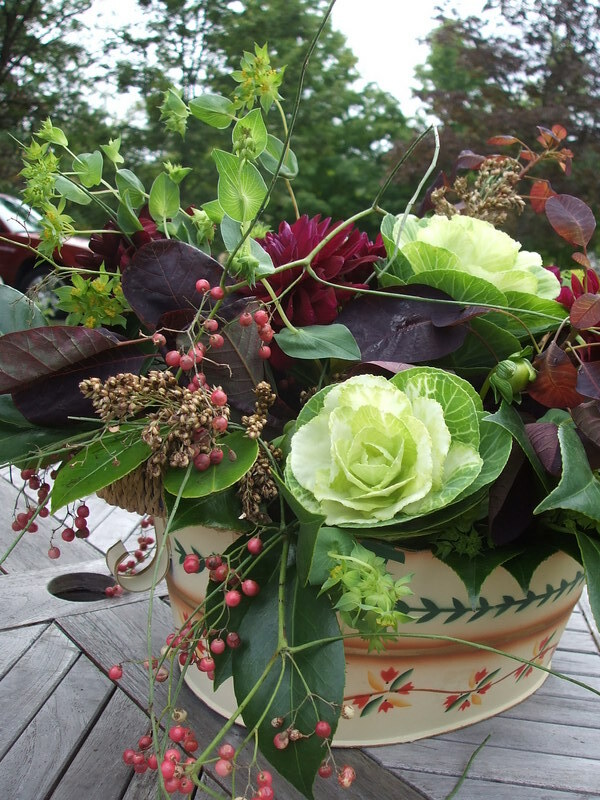 ), ornamental kale, purple smokebush foliage, and wheat, all loosely arranged for slightly wild look. Since our friend Jenn is a real foodie, there were all kinds of nice gourmet touches to the shower. 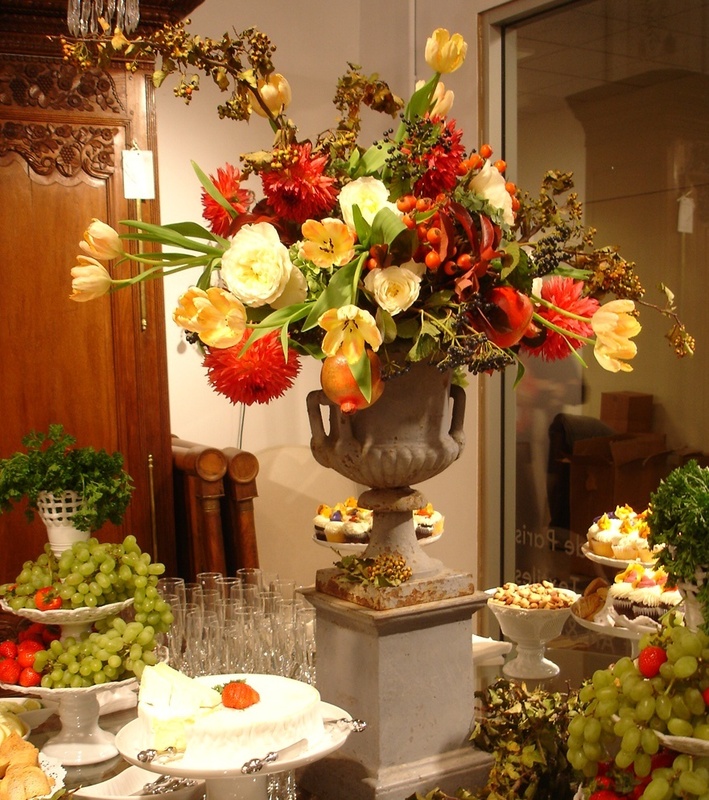 Hosted a very cute and rustic Tuscan style restaurant in Boston, the aesthetic of the arrangements really need to fit with that style. 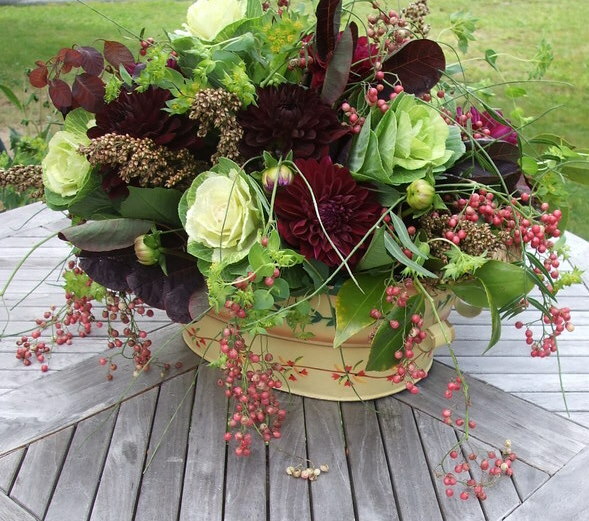 We loved the idea of incorporating food/floral elements into the design like the ornamental kale and the peppercorns. 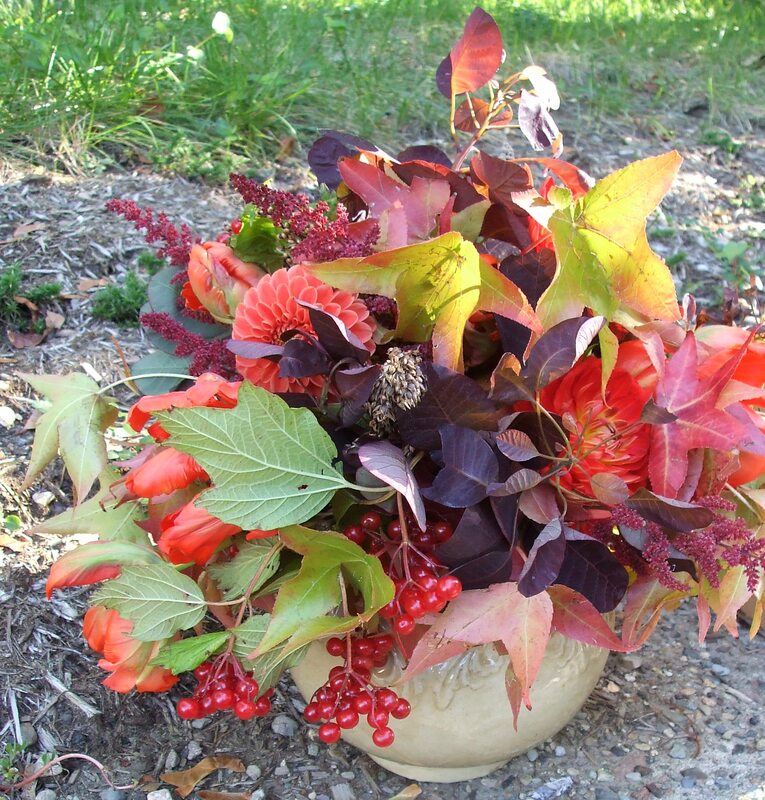 I love how the spindly ends of the pepperberry vines sort of tumble up and over the container, one of our favorite autumnal accents.